SPOILER ALERT: If you still haven’t seen “Avengers: Infinity War” and have managed to dodge spoilers so far, maybe skip this story. It’s got ’em. It’s been a week since “Avengers: Infinity War” smashed its way into theaters like a great, green Hulk set on breaking our hearts, along with box office records. For the love … er, I mean … hate of Thanos, we were not prepared for the emotional rollercoaster of watching our most beloved Marvel superheroes fight their darndest to save the universe only to dissolve into pixelated ashes and cease to exist. Fortunately, there is a glimmer of hope shining through, like Thor appearing out of the sky with flashes of lightning and glowing eyes, clutching Stormbreaker. For today is Free Comic Book Day! Scheduled annually the first Saturday in May, Free Comic Book Day is the time when participating comic book shops hand out free comic books to anyone who sets foot in their stores. The event was launched in 2002 by a panel of retailers, publishers, suppliers, and Diamond Comic Distributors. Many shops also organize special activities, including cosplay, signings, gaming and tournaments, kid-friendly fun, demos, raffles, and other surprises, which makes for the ultimate geek day out. What does the pain, carnage, and devastation of “Infinity War” have to do with Free Comic Book Day, you might ask? Well, the event is a welcome opportunity for those of us still reeling from the movie to band together and begin the healing process we so desperately need. 1. Embrace a little retail therapy: The best part of Free Comic Book Day is the free stuff, of course, but nothing lifts the Thanos-shattered spirit like a geeky shopping spree. As a bonus, you’ll be supporting your local comic shop and if it wasn’t for them, we wouldn’t have all these amazing Marvel movies to delight and traumatize us. So, pick up those new books you’ve been wanting to try, along with some awesome merch (many retailers also sell action figures, collectibles, T-shirts, toys, and other goodies), and spend that cash until you don’t feel like crying anymore. 2. Commiserate with fellow fans: As I mentioned above, Free Comic Book Day is a great excuse to hang out with fellow geeks and comic fans. If your local store is going all out, it often feels like a mini comic-con with a festival atmosphere. If you’re looking for like-minded people to discuss your “Infinity War” questions and theories with, there is no better place or time. Most of the fans assembled for the event are feeling your pain and there’s comfort in knowing you’re not alone. 3. Find clues to where the next movie is going: One way to “move on” from the misery of “Infinity War” is to spend the many months until the fourth, untitled Avengers movie arrives dreaming up theories about where the franchise may be headed. 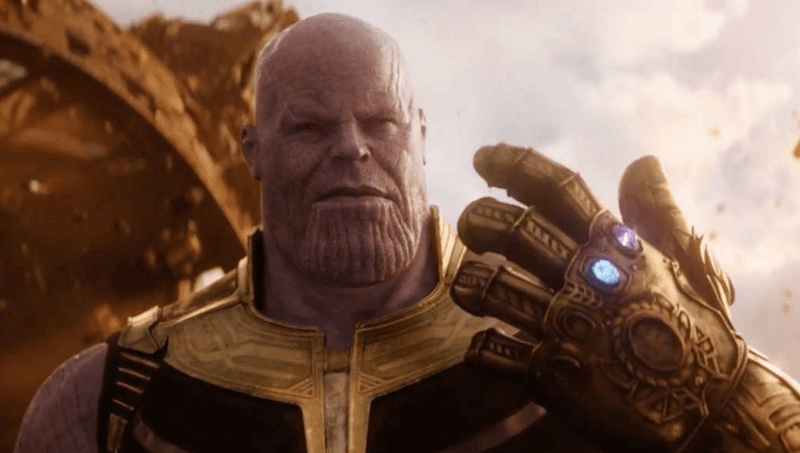 We were already given a tantalizing teaser in the end credits, so you may want to bone up on your Captain Marvel knowledge or explore the origins of dastardly mass murderer Thanos. Comic book options include The Infinity Saga; Thanos Wins; the Fear Itself run by Matt Fraction and Ed Brubaker; Captain America: Reborn; and Kelly Sue DeConnick’s “In Pursuit of Flight.” If you’re not sure what to read, just ask the shop owner or staff. They’ll be happy to point you in the right direction. 4. 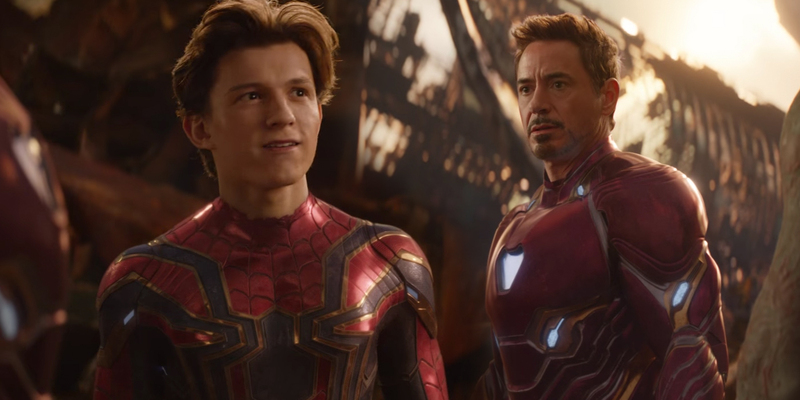 Healing through humor: “Infinity War” went to dark, dark places we don’t typically except to go to in Marvel movies, like genocide, for instance, and that moment when your friendly neighborhood Spider-Man dies in Tony Stark’s arms. (I’m not crying. You’re crying.) Maybe it’s time to step back from all that goth gloom for a while and chill out with some of the lighter, funnier comic book titles available. 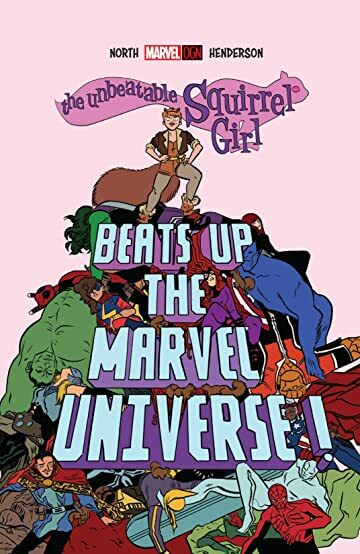 Options include Scott Pilgrim, One-Punch Man, Deadpool, Harley Quinn and Power Girl, and The Unbeatable Squirrel Girl Beats Up the Marvel Universe. Your friendly neighborhood comic shop staff will help you find titles that encourage humorous healing. 5. Remember, superheroes never really die: Scarlet Witch, Mantis, Vision, and our other favorite Marvel heroes may have disintegrated before our eyes, but deep down we know most of them will return, probably in the next Avengers movie. They also live on forever, immortalized in hundreds of different comic book incarnations. 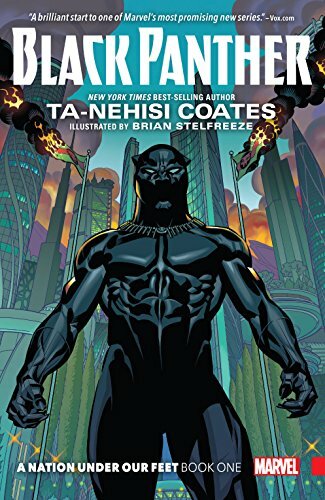 So, if you’re missing Black Panther, maybe pick up one or two of Ta-Nehisi Coates’ excellent stories about Wakanda. Or, if you’re inconsolable about the loss of Doctor Strange, why not check out some of the good Doc’s earliest titles from 1969? Again, if you don’t know what to read, just ask the comic shop staff. If you’re wondering where you can celebrate Free Comic Book Day, there’s a shop locator on this website. Discover Los Angeles also put together this list of participating shops in L.A.
Now, let’s put a smile back on your face (but not in a creepy Joker kind of way). This entry was tagged Avengers Infinity War, Black Panther, Captain Marvel, comic book stores, comic books, Free Comic Book Day, Guardians of the Galaxy, Kelly Sue DeConnick, Marvel, Samuel L Jackson, Spider-Man, Thanos, Tony Stark, Unbeatable Squirrel Girl. Bookmark the permalink. We went and celebrated Free Comic Book Day – even went in costume for it! That’s great! What costumes did you wear? So I went as the Library Superhero….my own very nice cape and I got a free cap for coming in costume….but the saddest thing was my child has entered the I can easily be embarrassed by my costume wearing parent…so I had this whole negotiation about when I could put on the costume, and how long I could wear it – so as to avoid my child from dying of embarrassment…..
Yep – have to say I’m unique amongst the cosplayers…..